Cast and Crew: Jim Jarmusch (director); Forrest Whitaker, John Tormey, Victor Argo. 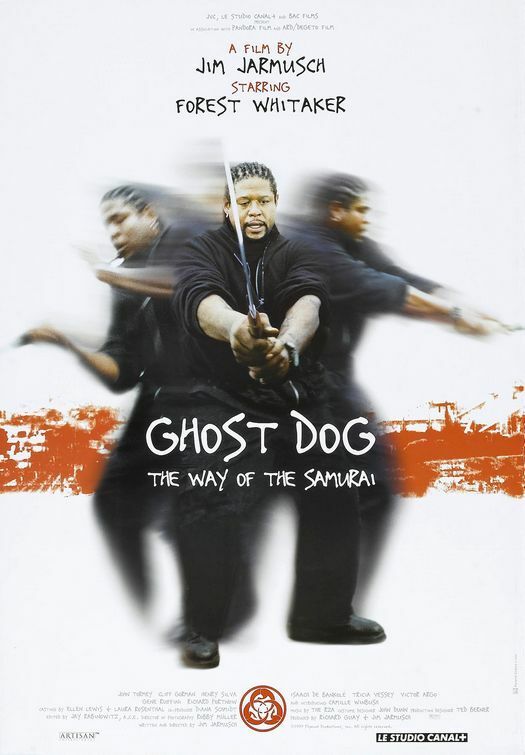 What It’s About: Ghost Dog (Forrest Whitaker, Last King of Scotland) wields both gun and katana in the tradition of the samurai, embracing budo, the Japanese warrior’s code. Ghost Dog pursues his stridently anachronistic philosophy despite considerable obstacles–instead of serving the house of a powerful lord in feudal, caste-ordered Japan, Ghost Dog makes his way in Jersey City where he owes life and honor to a minor mobster cut from a similar die to Tony Soprano. Why Watch it Today: Directed by indie filmmaker Jim Jarmusch (Dead Man, Down By Law, Mystery Train), Ghost Dog: Way of the Samurai is an homage to Jean-Pierre Melville’s 1967 Le Samouraï, which premiered on this day. Jarmusch transforms Melville’s hardboiled stylistic study of a principled hitman by taking the whole samurai thing much more literally, offering us a hip-hop Mifune committed to an honorable life by the sword. Thanks to Whitaker’s low-key performance which dominates the screen with his economy of expression and motion, the conceit basically works. Jarmusch also keeps his audience off balance. Unlike Melville, who always keeps his characters moving and never lets them rest for sustained dialog, Jarmusch offers strange and absurd detours from his plot with a strong mix of supporting characters who parallel Ghost Dog’s struggle to honor his chosen code of life. Editor’s note: This is the first post from the Max Ekstrom, an old friend and movie watching buddy from when we both still lived in the Boston area. Max shares my love of Spaghetti Westerns and certain kind of auteur film exemplified by The Killing of a Chinese Bookie andBring Me the Head of Alfredo Garcia. One of my favorite movie going memories was decamping to Max’s place after our mutual first viewing of The Holy Mountain to discuss what we had just seen over some whisky. I hope you’ll be hearing more from Max over the coming months! This entry was posted in Action, Arthouse, Gangster, Hit Man, Movie of the Day, Uncategorized and tagged Forrest Whitaker, Jersey City, Jim Jarmusch, John Tormey, Samurai, Victor Argo..